AXIS Dance Company hits the stage in San Francisco with The Radical Impact Tour. AXIS will perform the headline work Radical Impact created by internationally renowned AXIS Artistic Director and Choreographer Marc Brew, in collaboration with JooWan Kim Artistic Director of Ensemble Mik Nawooj, and accompanied by a live string quartet. 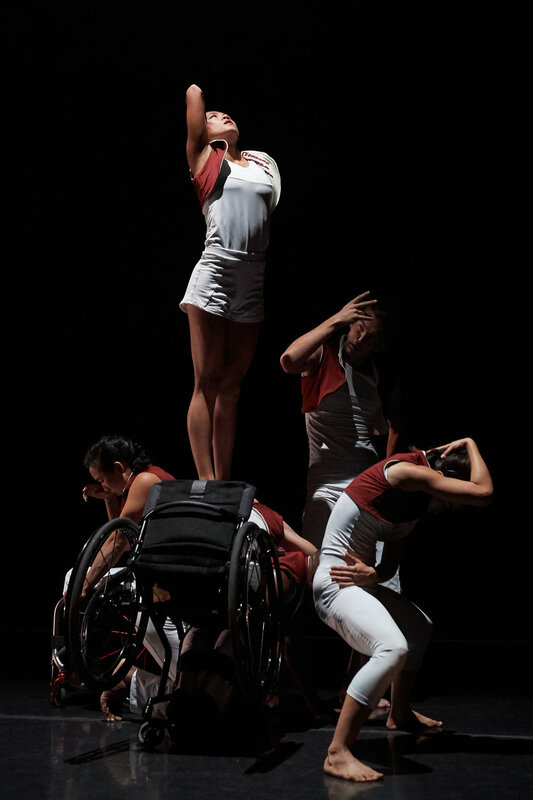 Other works featured in the triple bill include, The Reflective Surface choreographed by Bay Area notable Amy Seiwert, Artistic Director of Sacramento Ballet. The Reflective Surface offers seamless partnering and precise unison set to an original score by musician Darren Johnston with exquisite lighting design by Allen Willner. The program is rounded off with a newly commissioned work Historias rotas (Broken Stories) choreographed by Nadia Adame, former AXIS company dancer, with an original score by Paul Shapera. Historias rotas explores how we carry the baggage of our ancestors and how our experiences and identities are shaped by these stories. The Radical Impact Tour will shatter your assumptions and move you to your core with its bold offerings, extending a complexity that reflects lived experiences of a diverse group of artists.